So, I want to thank all our readers, whether you read in e-book format, paperback, or both. We appreciate your following romance, the largest selling genre. When you go to Collette’s site, scroll down and find my name (it’s listed three times) and like or follow me and enter to win. You can do this daily. 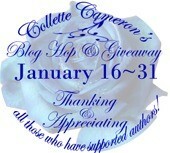 Starting today and for the next two weeks, Collette Cameron at Blue Rose Romance, a fellow Soul Mate Publishing Author, is having an anniversary give-away to celebrate her first year as a blogger. She has invited twenty other authors to join her in thanking our readers and followers. I am happy to say I’m one of those authors. 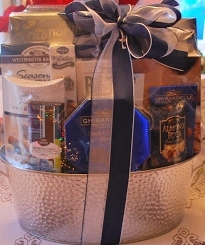 Thank you, Collette for your work with this.The link to enter is at the bottom of this blog. Feel free to enter everyday as new prizes will be added throughout the two weeks. Promoting and advertising our books is a time-consuming and difficult task. How often should I mention my book on FB, Twitter, etc.? How often should I blog about my book? Being a introvert, I find putting myself out there very hard. I also don’t believe in bombarding people with “Buy my book, buy my book, etc., etc., etc.,” It bugs me when other authors do that. But how does one find followers without shoving your work in front of their face? One way is to have other authors help promote your work. I have to say that Soul Mate Authors are wonderful at this. Many times authors feel they are in competition with each other. In a way we are, but by promoting each other, we are promoting ourselves. Soul Mate Authors are the best at helping each other – not only in talking about each others’ work, but by answering questions from characterization to what is the best social media outlet to use. To this end, Collette Cameron has chosen not only to celebrate her first anniversary as a blogger, but to let other authors join in and promote themselves. December 2013 Blog-a-Thon: Get to Know Lilas Taha! December 2013 Blog-a-Thon: Get to Know Lilas Taha!. December 2013 Blog-a-Thon: Get to Know Sandra Harris! December 2013 Blog-a-Thon: Get to Know Sandra Harris!. December 2013 Blog-a-Thon: Get to Know Deanna Adams! December 2013 Blog-a-Thon: Get to Know Deanna Adams!.